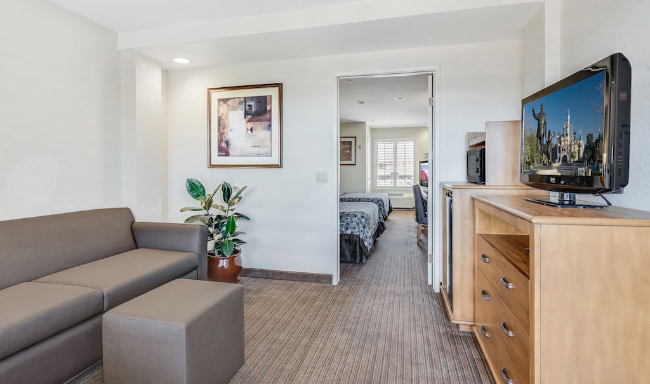 At Anaheim Desert Inn & Suites, we offer expansive suites with plenty of space to relax after a full day exploring the local theme parks. 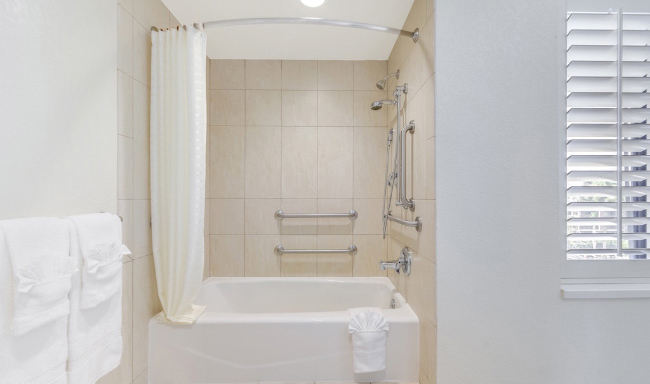 Our accessible suites offer all the comforts you need in a great location, just minutes from the most popular Southern California attractions. This two-room suite includes two queen beds, a separate living room with a queen sofa sleeper and an accessible bathroom. Please contact property if you need ADA accessibility. The Parlor suite also features two LCD TVs, premium HD cable channels, refrigerator, microwave, coffeemaker, hairdryer, iron/ironing board, and an in-room safe. 1 Smoke Alarm and 1 Door-Knock Flasher. Accessible route from the accessible public entrance to the registration area, accessible registration desk and accessible business center.